The Watch Movies Get Money Sweepstakes is open only to legal residents of the fifty (50) United States and the District of Columbia (excluding Puerto Rico, the U.S. Virgin Islands, and other commonwealths, territories and possessions) who are 18 years of age or older as of December 1, 2015. By entering, entrants agree to be bound by these Official Rules. The Released Parties are not responsible if the Sweepstakes cannot take place or if the Prize (defined below) cannot be awarded due to travel cancellations, delays or interruptions due to acts of God, acts of war, natural disasters, weather, acts of terrorism or any other causes outside of the Released Parties reasonable control. 2. 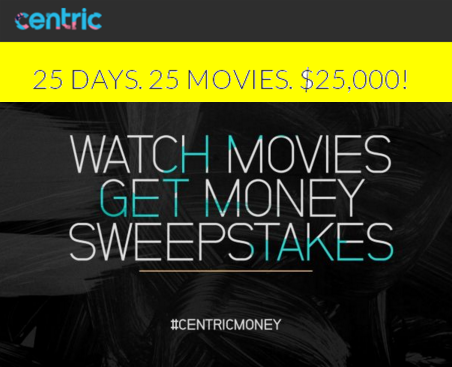 Log on to www.centrictv.com/moviecash to correctly enter the applicable entry code. LIMIT: Four (4) Submissions per day. 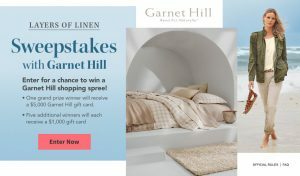 In the event of a dispute as to any Submission, the authorized account holder of the e-mail account used to participate will be deemed to be the entrant and must comply with these Official Rules. Each entrant may be required to show proof of being an authorized account holder. Sponsor will randomly select one (1) potential winner (the “Winner(s)”) the next business day of the applicable entry code airing from among all eligible correct Submissions received during the Sweepstakes Period for that applicable entry code. Non-winning Submissions will not transfer to a new pool of Submissions. Winners will be notified on or about the next business day. The selection process shall be conducted under the supervision of Sponsor. Sponsor shall choose the Winners in its sole discretion which shall be final and binding. Sponsor will notify the potential Winners by phone and/or e-mail. The potential Winners will be required to sign and return an Affidavit of Liability and Publicity Release (the “Affidavit”) and any other required documents within seven (7) days of receipt in order to claim his/her prize. If a potential Winner cannot be contacted, fails to execute and return the Affidavit within the required time period, or does not comply with these Official Rules, the potential Winner forfeits the Prize. If a potential Winner is disqualified for any reason, the Prize may be awarded to an alternate winner, if any, in Sponsor’s sole discretion. 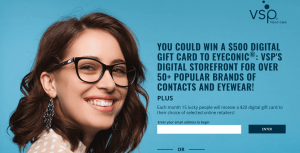 Twenty-Five (25) Winners will each receive One Thousand Dollars ($1,000.00) (collectively, the “Prize”), to be awarded in the form of a check or other instrument as determined by Sponsor in its sole discretion. Actual Retail Value for all prizes $25,000.00. Sponsor will not replace the Prize if lost, mutilated, or stolen. The Winners are solely responsible for any federal and state tax obligations related to acceptance of the Prize and will be required to provide his/her social security number and issued a 1099 at the end of the year for tax purposes. No substitution or transfer of prizes permitted, except at the sole discretion of the Sponsor. If the Prize is unavailable, Sponsor reserves the right to substitute a prize of equal or greater value. The Prize will be awarded provided it is properly claimed and is non-assignable and non-transferable. Acceptance of any prize shall constitute and signify winner’s agreement and consent that Sponsor and its respective designees may use the Winner’s name, city, state, likeness, photo, Submission and/or prize information in connection with the Sweepstakes for promotional, advertising or other purposes, worldwide, in perpetuity, in any and all media now known or hereafter devised, including the Internet, without limitation and without further payment, notification, permission or other consideration, except where prohibited by law. 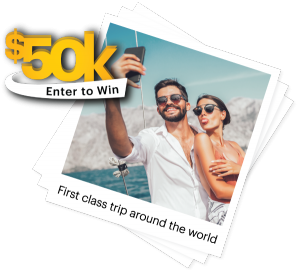 or indirectly, in whole or in part, from entrant’s participation in the Sweepstakes or receipt or use or misuse of any prize (including any travel/activity related thereto). The Released Parties are not responsible for misdirected or undeliverable Submissions or for any technical problems, malfunctions of computer systems, servers, providers, hardware/software, lost or unavailable network connections or failed, incomplete, garbled or delayed computer transmission or any combination thereof. Released Parties are not responsible for any unauthorized third party use of any Submission. IN NO EVENT WILL THE RELEASED PARTIES BE RESPONSIBLE OR LIABLE FOR ANY DAMAGES OR LOSSES OF ANY KIND, INCLUDING DIRECT, INDIRECT, INCIDENTAL, CONSEQUENTIAL OR PUNITIVE DAMAGES ARISING OUT OF YOUR ACCESS TO AND USE OF THE SERVICE AND/OR THE CONTEST, DOWNLOADING FROM AND/OR PRINTING MATERIAL DOWNLOADED FROM ANY WEBSITES ASSOCIATED WITH THE CONTEST. SOME JURISDICTIONS MAY NOT ALLOW THE LIMITATIONS OR EXCLUSION OF LIABILITY FOR INCIDENTAL OR CONSEQUENTIAL DAMAGES OR EXCLUSION OF IMPLIED WARRANTIES SO SOME OF THE ABOVE LIMITATIONS OR EXCLUSIONS MAY NOT APPLY TO YOU. CHECK YOUR LOCAL LAWS FOR ANY RESTRICTIONS OR LIMITATIONS REGARDING THESE LIMITATIONS OR EXCLUSIONS. Except where prohibited, entrant agrees that: (1) any and all disputes, claims and causes of action arising out of or connected with this Sweepstakes or any prize awarded shall be resolved individually, without resort to any form of class action, and exclusively before a federal or state court located in the State of New York having competent jurisdiction; (2) any and all claims, judgments and awards shall be limited to actual out-of-pocket costs incurred, including costs associated with entering this Sweepstakes, but in no event attorneys’ fees;; and (3) under no circumstances will entrant be permitted to obtain awards for, and entrant hereby waives all rights to claim, indirect, punitive, incidental and consequential damages and any other damages, other than for actual out-of-pocket expenses, and any and all rights to have damages multiplied or otherwise increased. All issues and questions concerning the construction, validity, interpretation and enforceability of these Official Rules, or the rights and obligations of the entrant and Sponsor in connection with the Sweepstakes, shall be governed by, and construed in accordance with, the laws of the State of New York without giving effect to any choice of law or conflict of law rules (whether of the State of New York or any other jurisdiction), which would cause the application of the laws of any jurisdiction other than the State of New York. For the name of the winners, available after January 14, 2016, mail a self- addressed stamped envelope to: Black Entertainment Television LLC, One BET Plaza, 1235 “W” Street, NE, Washington, D.C. 20018, Attn: “ Watch Movies Get Money Sweepstakes.” Washington and Vermont residents may omit return postage when requesting list of prize winners. Black Entertainment Television LLC, One BET Plaza, 1235 “W” Street, NE, Washington, D.C. 20018.